"Self-Empowerment – The Only Way to Heal"
There is a spiritual awakening taking place, and the momentum is building. Can you feel it? People are beginning to wake up, realizing there is more to life than what religion has taught. Questions are being asked that ministers can’t answer. Questions like: Who am I? Why am I here? What is my purpose in life? Why do bad things happen to good people? People are moving away from organized religion and becoming more spiritual. After all, we are spirits having a human experience! Life has become a struggle for many of us. Changes are taking place within the earth, with the weather, and within us. Relationships have been challenging; life has been challenging. People want life to change, but they don’t know how to bring about change. People want to heal; they are tired of being sick and tired. The medical establishment and health care industry have become more focused on making a profit than healing. So what is healing, and how do we heal? How do we feel better? How does life get better? To better understand how to heal, we must first understand how we got sick in the first place. We must understand who we really are, why we are here, and why “bad things happen to good people.” There are no victims in life—only co-creators of circumstances. The human body was designed to be “self” healing. If you are still taking a pill, you have not healed. Learn how together the mind, body, and spirit work together to create either well-being or dis-ease; how thoughts and emotions affect the physical body; how dis-ease settles into the body, and how to “self” heal. 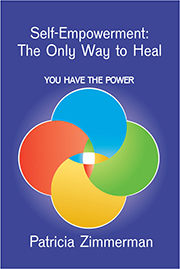 Learn how to listen to your body; what energy healing is and how it works; and the importance of healthy eating. Learn how to maintain good health, “self” healing techniques, how to regain self-empowerment, and much more. Mainly, learn how to heal from the inside out! Healing is for everyone, but not everyone wants to heal. Are you ready to heal? Are you ready to learn more about who you really are? Are you ready for life to change? If so, this book is for you. Empower yourself! The time for change is now, and it all begins with YOU! There is a spiritual awakening taking place, and the momentum is building. Can you feel it? People are beginning to wake up, realizing there is more to life than what we have been taught. People are eager to understand life and how it really works. They want to know why mankind suffers and what it will take to change the world. They are searching for answers, and they want Truth. Life is simple, yet we make it complicated. When you open your mind to expand your knowledge, you begin to look at life from a different perspective—one that makes perfect sense! Everyday Life Lessons: Living Life with Ease and Grace was written for those who struggle to find meaning and purpose in life. Earth is a school which teaches many lessons. The goal of any student is to graduate. This book will help you to graduate this school called Earth. This book will help you better understand the gift of free choice and our journey back to Oneness with God. It explains how you planned your life before coming into physical form and how you create your life with every choice you make. It details a map for success and teaches how to attain and maintain prosperity. It contains tools for health and well-being, for protection, and for spiritual growth. Life is a gift. Embrace life and all it has to offer. 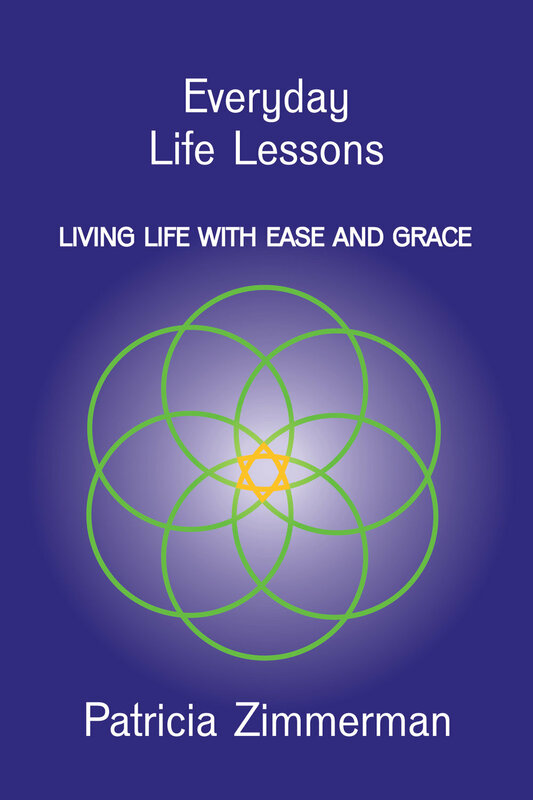 "Everyday Life Lessons: Living Life with Ease and Grace - Companion Guide"
Life is fair when we understand how it works. Life does not have to be difficult. We make it difficult when we listen to the ego (Edging God Out) instead of our inner guidance, and what we resist persists. Life is a process. To bake a cake, one must have all the ingredients. If you leave one of the ingredients out, the cake will fail. When the batter is ready, it is put into pans to bake in the oven. If pulled out too soon, the cake falls. If left in too long, it burns. Having all of the ingredients and perfect timing are crucial for a successful outcome. If we do not love ourselves enough to take time for us, no one else will. Synchronicity takes place when all our bodies are in sync and our vibration is high. And when we are in alignment, magic, mystery, and miracles take place! We can live a life with ease and grace…and learn our lessons at the same time. It’s all in how we handle life. Everything happens for a reason and a purpose. This book came to you because you were ready for change. By changing your beliefs and your attitude, the world around you will change, too—for the better! The tools in this book can help you to live a life with ease and grace. And, as I remind all my students often, tools are no good if you don’t use them! Patricia Zimmerman is an ordained minister, metaphysical teacher, healing practitioner, spiritual counselor and life coach, and founder of White Dove Circle of Light and Love, a spiritual, non-profit organization where one can find true healing for the mind, body, and spirit. She teaches classes on how to live life, looking at the self to bring about change. Her greatest teacher is life itself.